Kerri Schelling became the executive director of the Kentucky School Boards Association on Aug. 26, 2017, after serving since July as the interim executive director. But her relationship with school boards and public education began much earlier. Kerri came to KSBA 18 years ago as a school safety specialist, working as part of the partnership between KSBA and the Kentucky Center for School Safety. She served as director of the KSBA student support service from 2004 to 2006, when she was appointed to oversee the association’s board member training and conference professional development services. Over the next 11 years, Kerri directed the Board Team Development Service, planning and managing contracts and content for the association’s major leadership training events and supervising the development of new training targeted to building local school leadership skills – including courses designed to meet state-mandated topical training for school board members – and administering the association’s role in providing, tracking and reporting on required annual training hours as the designee of the Kentucky Board of Education and Kentucky Department of Education. She also is the association’s lead team member on a series of grants obtained to support association services and for the association’s strategic plan and related activities. Last year, Kerri took on the additional duties as associate executive director for the association. 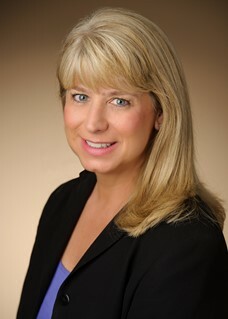 A certified associate executive (CAE) of the American Society of Association Executives, Kerri is a graduate of Pittsburg State University in Kansas and Radford University in Virginia.